Radio systems include a vast history, having been used in almost every industry at some point in time. Henirich Hertz was the German physicist responsible for originally proving one could wirelessly send and receive electric waves. While Hertz believed his work had no real practical potential, his work is now recognized as a solid building block in the invention of modern day radio and other forms of communication. In fact, every frequency measurement is now called the Hertz in honor of his intelligent realization. Radio waves travel incredibly fast, allowing you to communicate at the touch of a button. Hence why radio technology is used for so many different things today, from baby monitors to tow truck dispatchers. So where is the future of radio communication headed, and what can you expect from your 2-way radio system sometime in the near future? 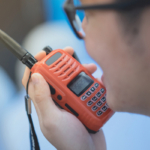 In order to fully appreciate where mobile radio technology is today, it’s important to understand where two-way radios started. The technologies behind radios were first put to use in the 1890’s in order to help ships communicate. Prior to radio technologies ships used carrier pigeons and flags to correspond. In 1910, Frederick Baldwin and John McCurdy used the first radios for aviation. The two men trailed behind another plane and used radios to communicate between the two planes. In 1912 the Federal government began regulating American airwaves. Anyone wanting to utilize radio communication had to become licensed, and ships were required to carry a radio and trained operators. In 1921, police commissioner William Rutledge introduced the first radio-equipped vehicles to the Detroit Police Department. In 1927 the Federal Radio Commission was instituted to organize the chaos in the airwaves. Today, so many years later, and radios still remain an incredibly important device in so many different industries. 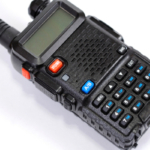 The widespread use of radios requires that the technology is continually being built upon and improved. As we look into the future it’s clear that the powers of two-way radios are only going to continue to grow and expand. There are a number of advancements in radio technology that have taken place in recent years. Two-way radios can do more for you now than ever before. Radios can be used to send and receive messages both verbally and in text. They now also come with advanced security features to better protect your business from intruders and thieves. If a radio is removed from its designated area, it can be remotely turned off until it is returned back to the right hands, at which point it can easily be turned back on. Cell phones and landlines were invented thanks to the technological knowledge gained through radio communications. Yet, radios have continued to advance even as other related inventions take off. Radios largely remain popular because they are reliable, cost-effective, and easy to use. Even as radios undergo technical advancements, the overall design remains very simple, offering touch to talk features that don’t waste time or include distractions. Despite the simplicity of the two-way radio, it continues to provide more and more benefits to businesses. 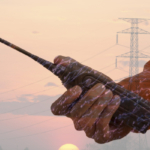 Perhaps the one complaint a business might have is that 2-way radios cannot communicate across as vast a distance as a cell phone, although that too is changing thanks to the institution of wide area networks. Two-way radios have generally been limited by distance, only able to communicate over a certain expanse of space. Yet, thanks to advanced technology, all of that is now changing. 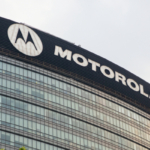 Wide area technology is transforming the ways radios are used to communicate and do business. A wide area network allows one radio to reach another, even if the two radios are 300 miles apart. While cell phones are known to give out in an emergency, radio towers are far more reliable. Long distances were once reason enough for businesses to turn to cell phones as opposed to radio for communication. 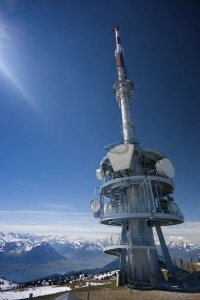 Now, since radios are capable of communicating across vast areas, even more businesses can take advantage of radio benefits. Radio equipment can be placed on a tall tower, or on a large building, but every site is linked to create an IP network attached to your businesses. In less than one second, an audio transmission from one radio can reach another radio. As a result, businesses have a constant source of quick, reliable communication they can depend on regardless of distance. Highland Wireless was one of the very first providers to create a wide area network in Florida. Our network connects Miami, West Palm, Tampa, Orlando, and everywhere in between. Contact us today to learn how your business can enjoy seamless communication with wide area network radios.